Artificial Intelligence is a quickly changing field that has gone from theory and promise to delivery and practice in a meteoric way in recent years. 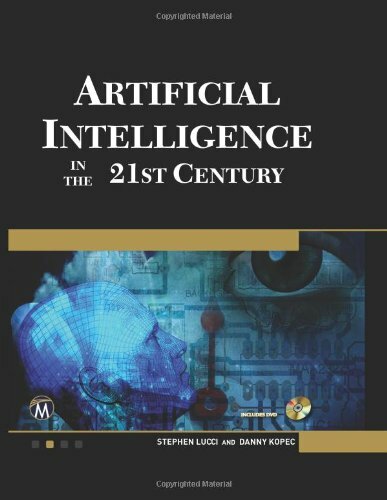 This text provides a comprehensive, colorful, up to date, and accessible presentation of AI without sacrificing theoretical foundations. It includes numerous examples, applications, full color images, and human interest boxes to enhance student learning. Advanced topics cover neural nets, genetic algorithms, and complex board games. A companion DVD is included with resources, simulations, and figures from the book. Numerous instructors' resources are available upon adoption. Brief Table of Contents: 1: History. 2: Uninformed Search. 3: Informed Search. 4: Adversarial Games I. 5: Adversarial Games II - Advanced Games. 6: Knowledge Representation. 7: Logic. 8: Production Systems. 9: Reasoning Under Uncertainty. 10: Expert Systems. 11: Neural Computations.12: Evolutionary Computation. 13: Natural Language Processing.14: Planning.15: Future of AI.